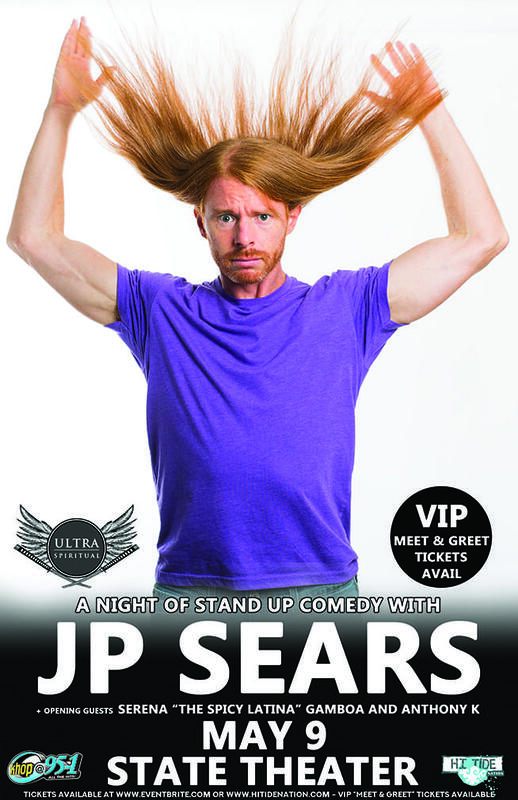 Comedian and YouTube superstar, JP Sears, will be performing his comedy show at The State Theater in Modesto, Thursday, May 9, 2019. Tickets go on sale February 28 to the general public at 9am. Show time at 7pm. Opening guest will be Serena “The Spicy Latina” Gamboa & Anthony K.
Tickets on sale to the general public on February 28. Tickets are $35.50 + service charge and VIP tickets are also available and can be bought at www.eventbrite.com.